Following are a number of astral experiences people have had in which they have interacted with extraterrestrials, who like us, are multi-dimensional and have the ability to travel in the astral plane. Some people have experienced being woken up from a dream state and made lucid with the help of ETs, whilst others were taken to see ET civilizations after coming out of their bodies. All of them however, attest to the spiritual and peaceful nature of ETs and their wish to help us. 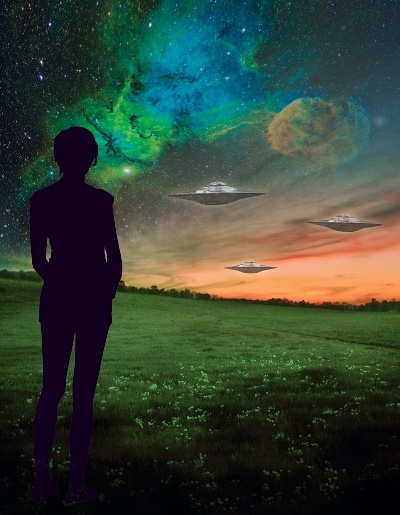 There was a time when my husband, some friends, and myself had witnessed quite a bit of UFO activity in the sky, and simultaneously I had several incredible astral experiences with extraterrestrials and space crafts, that were deeply inspiring. In several cases there were even shared experiences we could confirm with one another, which was quite amazing. In one of these shared experiences, there was a landing of several crafts that had a very unusual shape to them. I was very excited when I saw its occupants come outside and it looked like they were going into some kind of a meeting or had some business to do. I had seen UFOs before both physically and in astral experiences, but I had yet to see the beings within them. I wanted to meet them so much that I overcame my usual irrational fears and ran towards them. Each time I tried to come close though I was re-directed by a strange external force and ended up going in a different direction. I then pondered why I’m not allowed to approach and was shown (telepathically, visually and symbolically) the ways in which myself (and others in general) were not properly prepared for such a meeting and how a deeper inner work needs to take place for that to happen. In retrospect, it’s pretty clear that many of these beings are visiting with a purpose or a mission to complete, and trivial curiosity contact attempts without anything to offer in return seem like a waste of their time, not to mention unnecessary endangerment for those involved. I was very thankful though for the clear insights I was provided with in those astral experiences and for the time taken to have these astral meeting. Interestingly, at the beginning of the above experience, while watching the landing of the crafts, I was aware of several people watching this along with me — one person in particular stood out. Later on, in waking life, this person confirmed that they had the same experience (the beginning of it, anyhow), on the same day and time as me. I was particularly impressed with the unusual description of the crafts she provided and the manner in which they landed, which was exactly as I had seen it. 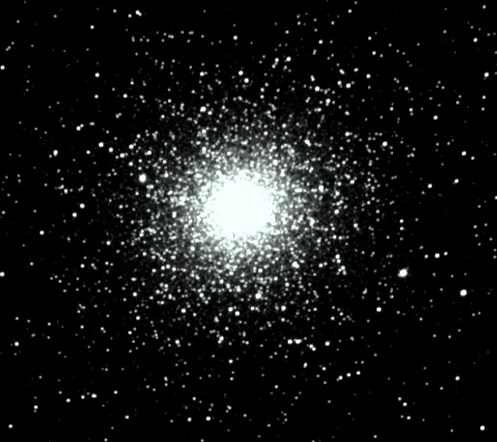 I wanted to share an experience I had several years ago that involved me traveling out of my body and into outer space. I was studying Belsebuub’s work online and there was a collective goal to astral travel to Ganymede – one of the moons of Jupiter. 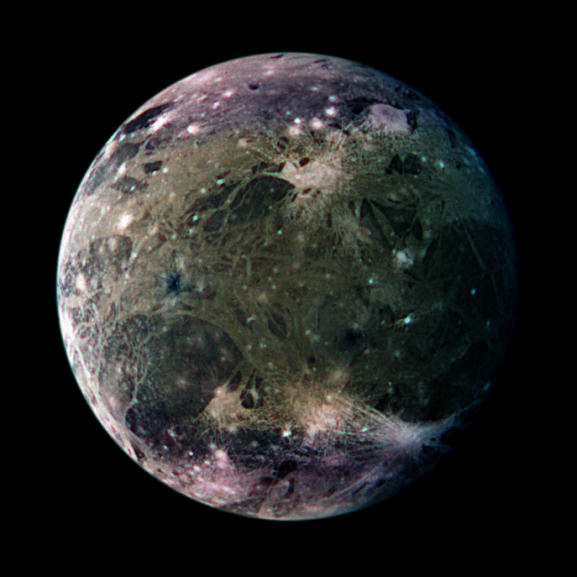 During one of the nights of practice, I became lucid in my dreams and I asked my divine Mother to take me to Ganymede. I also visualized my destination. I found myself floating in space, near what appeared to be Ganymede – but very quickly I started to lose my self-awareness and the scene started to become very dreamlike. I prayed for help to receive a spiritual teaching. Everything became clear once again and I was gently carried by some unseen force towards and through a nicely decorated doorway. I then found myself standing in a small room (I don’t know where this room was). In front of me, at a table, sat a man. He was very human in appearance, dressed nicely, and he vaguely resembled an old high school teacher of mine. There was complete stillness in the room. I felt deeply at peace in his presence and his eyes were full of love. I’d never met a spiritual being before, and I asked him if he was a spiritual being. He replied that he was, and told me his name. He then said something to me in a very symbolic way and I didn’t understand. I asked him to clarify and I also asked him a spiritual question I had seriously been wondering about. He replied directly to my spiritual question, and then he gave me the symbolic teaching again with another symbolic phrase. The next instant I woke up in bed. It was a truly incredible experience. While I cannot say for sure if this being was an extraterrestrial, my intuitive sense is that he was. This spiritual being appeared to me at a later point, too, in a symbolic dream. It was nice to see him again and see that he still wanted to teach me. In writing this experience, I may as well share that I saw a large UFO in a dream just this morning. I was not very aware in my dream, otherwise maybe I would have done a reality check and become lucid, but it was inspiring to see all the same. I had hoped for a while to have an opportunity to see how extraterrestrials live on their own worlds as a way to find inspiration to change myself. One night in the astral, I found myself being taken through space, escorted by a female divine being, to another planet. It appeared like some kind of gas giant planet like Neptune or Saturn in that it was mostly one airy color. We descended to a hard flat surface where I couldn’t see well enough to make out any kind of forms. I only felt that there were beings and signs of civilization around me. Unfortunately, as soon as I felt these beings, which reminded me of very innocent children, a fierce tiger lept out of me. This tiger felt like a very powerful ego that I still struggle with. Before that tiger could do any damage, I was snatched up by the back of my neck by this divine being and taken back out into space where she sternly reprimanded me for having this ego. From this experience, I understood very clearly why I can not be around extraterrestrials or even more spiritually-awakened humans. The purity within them has a strange way of pulling my nastier egos out to the surface. Until I become more pure myself, they will continue to leave me behind in the mud of mundane life. On another occasion in a dream, I met a group of extraterrestrials that gave me a sequence of numbers to repeat mentally. I did so and started to feel the sensations typical of astral projection. Having been not so experienced with astral projection though, some fear stopped me from going any further…pity. Those beings looked very similar to the ones seen in this video (http://www.youtube.com/watch?v=v6555Hr3Mj8&feature=related). They looked and felt very nice and wise; not in the evil, grotesque ways they are often depicted in UFO subculture. Photo CC BY-SA 2.0 AT by Philipp Salzgeber, edited. A few weeks after the autumn equinox 2011 I woke up in the astral in the neighborhood I used to live in when I was 10-16 years old, right outside of the house where I first consciously astral projected. I saw planes in the sky that looked weird and then said they must be UFOs. That’s when I got clear and knew I was in the astral. Suddenly, it looked like one of the ships was crashing as it stopped in the air and dove quickly to the ground. I couldn’t see where it landed as the houses were in the way so I ran behind the house and climbed up the fence to look over into the field. One spaceship was on the ground. It looked okay and I was glad because at first it looked like it crashed, but it just landed quickly. The ship was like a giant white bubble with a multicolored aura shimmering around it. I thought this was so amazing and wondered who or what might be inside of it. At that thought, I felt scared for a moment, but right away I asked to be rid of that feeling as I felt that the fear was taking away my clarity. I did my best to harness love and send out a welcoming feeling. My intuition was strong and I knew it was important to project those feelings of love and acceptance towards the spaceship. Seconds later, a little fellow appeared out of the ship. I didn’t see a door open, he was just suddenly right in front of the spaceship. He came toward me and gracefully climbed up the fence so that we were face to face. I was amazed at how human he looked, but he was very small, like four and a half feet tall with eyes that were very big, about three times bigger than mine. He thanked me for welcoming him. He told me his name, Eli (pronounced: EE-“lie”). Our conversation continued telepathically. I learned from this celestial being that it is incredibly important to rid all fear from ourselves so that we can receive the spiritual help that we need. Not just fear of alien contact, but all fear such as fear of the dark, fear of strangers, fear of failure, etc. If I stayed fearful I would not have met him. Now in my daily life, after this experience, I am applying as much strength as possible to conquer all the daily unnecessary fears and am experiencing the importance to magnify love and feel it radiating out from me. This is resulting in a lot more mystical experiences than before. I have been interested in extraterrestrials and UFOs since my childhood and believe to have had some encounters with them recently. 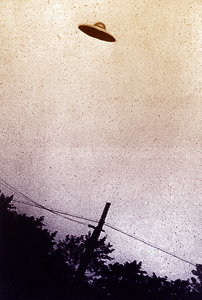 Once I saw a floating UFO very close to the place where I live, and also I have met extraterrestrials in my dreams. Sometimes those dream encounters helped me to become lucid or be clear and learn amazing things. I am quite sure that most, if not all of those experiences, were not figments of my imagination, nor some sort of subtle subconscious influences. I would like to share a dream experience I had with extraterrestrials which really shook me and gave me tremendous spiritual inspiration. It took place on Monday the 14th of November, 2011. I went to bed after a few hours of group meditation practices and tried to astral project. I really wished to have extraterrestrial contact that night and prayed with sincerity and intensity to meet benevolent extraterrestrial beings in the astral plane. After sinking unconsciously into the world of dreams, I found myself in a place which looked very similar to a big lodge with many rooms where I used to go a number of times for spiritual retreats. It appeared to be dark inside, but when I came closer, I saw a weak dimming light. As I went through the door, I met a group of people. One of them asked me if I could establish contact with a UFO. I agreed, and then I remember myself being with that group outside in nature under an orange UFO standing still about 30-50 meters above us in the air. I was amazed to see it, yet kept myself calm. Then there was some sort of a beam of light directed down from the UFO and a being appeared on the ground next to us. Everyone in our group seemed to get stressed and started to slowly narrow in a circle around the being. The group was not hostile, yet it looked like they wanted to catch that being. When the being saw this, he said something like, “Come on, what are you doing,” without any fear or anger in his voice, but rather expressing dissatisfaction with our actions like we were acting really stupidly. And then I took his side and told everyone to stop behaving like that and just to relax. As I broke the circle around the being, others did also. I remember coming next to the being from the UFO and he looked very similar to us; the only visible difference was that his eyes had a different kind of eyelid. There was a great depth of inner awakening in them – they looked very spiritual like we can see in some Egyptian art. I felt a bit of a shame for our behavior as a group there and as a humanity towards these beings and felt at that moment that I am a part of something very important between us and them, that our contact is very important. I wished to represent our humanity in a positive way. So I just naturally smiled to him, said “Hey” and hugged him. It was perhaps the most remarkable hug I had ever experienced in my life, as that being was so full of intense and pure love. It felt very warm, like some magical fire was burning within him. As we were hugging each other I felt it passing to me…it felt like a very long hug. I can`t remember myself ever experiencing this kind of love. And then afterwards I truly felt myself at complete ease with him and other beings around, like we were the best of friends. Even now I can feel this link of a true friendship between us to the point of wanting to cry when I think about it. When I woke up the next morning I felt myself a very different person, with a more open and warm attitude towards both people I know and strangers, towards all animals, all plants, all what is alive. I remember sitting by myself the next day in the Indian restaurant and looking at people around me with amazement, thinking how wonderful it could be to simply love everyone as we all share the same thing deeply within us. I asked the beings from the UFO different questions. They answered everything in a very simple and profound way, using words very effectively. The beings were very conscious and their presence helped me to be aware. They told me what their names were, where they came from, and why they came to that particular place. They told me that the reason of their presence here is that we need their help. Unfortunately, due to my poor memory I have difficulty remembering some of their answers now. I am confident also that what I share here is ok to do so with them, and is important. The essence of their teaching to me was about love and trust. Another thing which happened later, which I already experienced in the astral, was that some other beings tried to attack us, apparently trying to behave like “evil aliens”. The beings from the UFO were very sad to see that, sad in a very innocent childlike way… I wonder if they can ever get angry or have any ego emotions. And finally, after I shared this experience on the forums, a few days afterwards I got a response from a reliable person I know and with whom I hadn’t spoken to for a few months. While living in a different city, she had also just had a dream experience very similar to mine. It happened two nights after I had my dream. We were both really amazed to share with each other these dream experiences and see the similarities. It is so wonderful that there are truly spiritual beings here on earth. I still lack experience to know for sure if there are some hostile extraterrestrial races present on earth or not, but something which I am quite confident is that yes, unfortunately there are dark forces on earth who work hard to prevent our contact with marvelous extraterrestrial beings. These beings are here to help us, maybe even to save us, in this time of great global changes. I really hope that more people around the world would become aware enough of their presence to contact them with a positive intelligent attitude, and learn the truth for themselves. Last night I had an interesting astral experience. I had gone to sleep concentrating on my heart after having reflected on the day, and praying for help to overcome the internal obstacles I had observed. I first woke after a couple of hours, remembering some subconscious dreams. Using the wake up as an opportunity, I settled myself and went back to concentrating on the heart, and fairly soon drifted into sleep. Maybe an hour or so later I was in a dream looking into the distance at some stellar constellations which seemed unusual. They were different from any which I am familiar with, and had more yellow and brighter stars. My awareness was becoming sharper as I gazed at these stars, to the point that I knew I was in the astral plane. A small feeling of joy started within as I continued to watch, and to my amazement many, many stars began to appear, such that the “constellations” became as a sea of stars on the horizon. I immediately thought of extraterrestrial influence and ran forward feeling like a child, calling out for a ship to land so I could meet someone. To my happiness a ship flew right to where I was standing and landed before me. It was metallic and circular with several layers. It was very similar to some UFOs I had seen in a clear dream a couple of weeks earlier. When the ship landed before me, a landing bridge stretched out and I prepared to meet whoever I saw. With a smile and still the feeling of joy, I placed my left hand over my solar plexus and held my right and in the ceremonial peace greeting. A being came forth from the ship, wearing a suit with helmet, such that I couldn’t see their body. I remember the head being large and wide, and the height around 5 feet or so. We began to converse I assume telepathically, as I don’t remember any words being spoken out loud. The being was a male, and seemed on an important mission with no time to waste. I very much felt he was a powerful authority, so much that I felt small and almost in the way. He said something about an “IQ test”, which I understood to be the testing which goes along with the universal spiritual work undertaken in Belsebuubs teachings. Numbers appeared on his helmet to do with my “test”, which I can’t reveal due to their personal nature. After this I went to the side and he came forward off the landing bridge and joined another being who had been at my side (I felt this other being’s presence as I met the being from the ship, but am not sure who they were). I woke shortly after with the impression that the extraterrestrials are indeed here with an important task to help humanity’s dire situation, as mentioned by others. There isn’t much time, and there is also a grade to meet. This was emphasized in my experience and will hopefully stay with me for a long time. If ETs and UFOs Exist, Why Don’t They Land? I had this experience over a year ago now. Not too long after the announcement on this website about extraterrestrials. In that time I would often go out into farmers’ meadows in the evening for some inspiring practices and to look at the stars and perhaps catch a glimpse of a UFO. Alone in those fields under the starry sky I would sing the amazing Gayatri or Mahamrityunjaya mantras towards the heavens. Like a message into space, but also to the great unknown divine, the other side that looks down upon us. I would really try to chant them properly with my whole heart into it, visualising and feeling their meaning. These mantras, these prayers, are so profound. After a while their effects would always get me into a very nice state, when I could just feel this magic in the air. When walking back I was not disappointed, but would have loved to have seen something up high. But I only saw what appeared to me as shooting starts, satellites, airplanes, etc. So I sang the first few lines of the Gayatri mantra. The ships shot over the house and I quickly ran to the room on the other side of the house and in one quick move grabbed my binoculars from the closet (which are also there physically). I looked through them and could see a fighter plane chasing one of the UFOs above the city (there’s a military airbase a few miles from the city). Then down in the street I saw children crying and violently coughing. The fighter planes had dropped a bomb, or a toxic gas bomb; I saw yellow smoke and quickly closed my window. There was great panic everywhere. Mass hysteria, deep fear had taken over people. People didn’t have the psychological foundation to not completely lose it to hysteria, nor the knowledgeable information in their mind that something else than an “alien attack” was happening. I knew the truth of what was taking place, but there was nothing I could say or do… nothing which would enable people to see the truth. This is a bit hard to explain because it was really something that was felt. Without any fault of the ETs/UFOs this scenario had occurred. I think they want to help humanity but openly landing on a planet, with people the way they are, and even with forces attacking them, would cause the opposite of what they want to achieve. I found this experience inspiring because it made me think that the techniques I was practicing were more universal than I had thought. It happened while I was practicing astral projection with the Mantra Egypto, which I believe is now a technique described in the Astral Codex. I kept repeating the mantra mentally, trying to reach the astral plane. Suddenly I found myself in space, flying towards a planet. It was extremely beautiful, unlike anything I’ve ever seen, swimming in this light, almost like a diamond shining in darkness. As I was flying, I realized I “heard” a large group of people reciting the mantra I’ve been using to astral project. I say “heard” because it was more like feeling the sound in my solar plexus. I have never experienced anything like it before. I could feel that the sound is coming from the planet and that there must be a large group of individuals practicing the mantra there. I was drawn by their exercise in a way I couldn’t understand. I kept flying towards the planet, following the sound, but at that point the experience unfortunately got interrupted and ended. I have also been lucky to have some encounters in the astral plane. On one occasion, in a vivid dream, there were many space ships of extraterrestrial origin flying in the sky. People were afraid of them but I was both curious and excited. Then I felt that “they” locked in on me from above and I was pulled up into the air. At this stage I became fully aware and my consciousness was active, although I could not see my surroundings. Strongly I felt presence of several beings that started examining me, but not physically but rather mentally. Very clearly I felt them reading me like an open book, right down to the deepest parts of my psyche, however, I did not feel threatened in any way. After a while the experience suddenly came to an end and I woke up in bed. One night an extraterrestrial came to me while I was dreaming. He was the size of a small child and had a similar playfulness. He was different though. He did not look like a normal person because he was full of light. 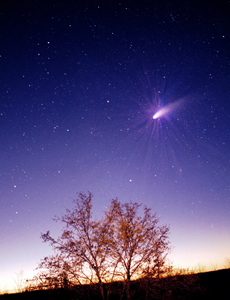 A white-blueish very shiny light. I say ”he” but I am not really sure if that being was male or female. Because I was dreaming, I was not in control of my movements and remember feeling a bit disoriented, like a drunk person. He realized that I was still asleep and so he repeated, “I am an extraterrestrial! !”, even louder this time. This startled me a bit more but I remained unconscious. And a third time he said even louder, “I AM AN EXTRATERRESTRIAL!! !” and at the same time he moved forward a couple of meters fast as with the speed of light leaving behind him a trace of light. That woke me up from my dream state and I said surprised, “YOU ARE AN EXTRATERRESTRIAL! !” realizing finally that I was in front of an extraterrestrial being of light. He was a very peaceful being. That peace he was emanating throughout that short interaction became greater and greater the more he was trying to wake me up in the astral plane. It was part of him but in a strange way it became part of me as well. I felt peace and joy being next to him. I returned to my physical body soon after that interaction. That peace was still with me and stayed during the next couple of days especially whenever I remembered him. I felt very lucky to have met this being of light and at the same time I felt sad for my inner state because I was not able to interact with him properly since my consciousness was asleep. He was one of the most peaceful beings I’ve ever met and his intentions were clearly loving and full of care. It’s surprising that there are people that think extraterrestrials are bad. This was definitely not the case with this extraterrestrial being of light. About a year ago, I was meeting up regularly with friends at a country retreat, and during that time we saw a fair amount of lights in the sky. We would do group astral practices regularly, and this led me to have some ET experiences that were very inspiring. In one instance, I had a very clear dream of being with several of the people at the retreat, and a large UFO came down in front of us. The being operating the craft did not reveal themselves, but communicated with me telepathically, and showed me a rapid series of things I was meant to figure out. My mind began spinning from trying to understand the meaning of it all, and then suddenly they conveyed to me that I was doing it the wrong way, that if I wanted to understand anything I need to use my heart, rather than my mind, and be free of excess emotion. That feeling of using your heart was conveyed in a very powerful way to me, as they helped me feel exactly what it is like to understand things from there (using consciousness and being clear). 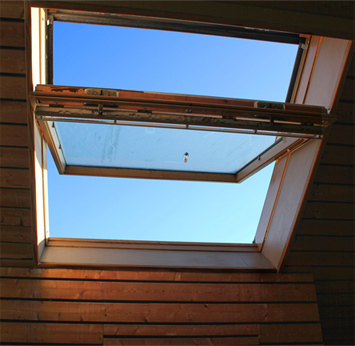 On another occasion, while doing an astral practice, just as I was splitting I could suddenly see through the ceiling and roof of the building I was in. Hovering above was a craft, and then I felt myself lifting out of my body. An ET appeared floating in front of me, and the being was shining and glowing with this brilliant light all throughout their body. They grasped both of my hands and we went sailing straight up into the sky over the retreat. I lost the experience quickly after that. 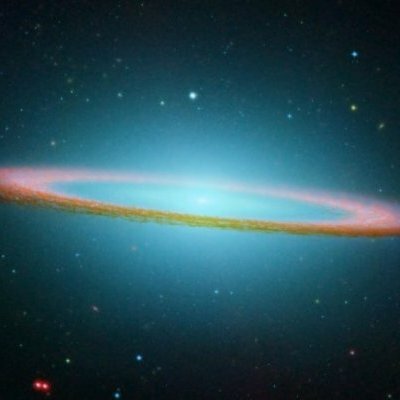 In reflecting on these experiences, they showed me that ETs are definitely more spiritually developed than us, and are genuinely interested in helping us. Like others have noted though, I feel there is a strong emphasis on raising your level of consciousness in order to understand what they would offer, or even hold on to a clear experience of being with them in the first place. I had another astral ET experience from a few years ago I wanted to share here since it seems relevant, especially in light of some information I feel is misleading being spread about the nature of ETs and UFOs. In the astral, I was with a group of friends on the outskirts of a big city, hiking through some trails in nature. Suddenly I saw UFOs. It was exhilarating to see more and more of them, as I suddenly realized they are making themselves visible to the people in the city. I was so happy, thinking suddenly “Wow. This is great! Now everyone will know about their existence, etc.” I ran towards where I saw some of them land. My friends and I sort of naturally formed into a line at the foot of the craft awaiting its occupants to come out (imagine lining up for the Queen of England – that’s how we were awaiting excitedly). The craft opened up, and suddenly my excitement and happiness vanished, and instead a feeling of dread and uneasiness overtook me. I sensed that something was wrong. Suddenly, a host of “extraterrestrials” appeared, in a squadron formation and holding machine guns. They were wearing an overalls uniform, somewhat resembling and astronaut suit, and had a particular physical appearance that was more humanoid than I expected, but also carrying a malignant and cold facial expression. They marched down from the aircraft in unison. As they approached myself and friends, they turned around facing us. One of them grabbed me by the throat, but someone else, who appeared to be an official or someone in charge, said to leave me alone and not to waste time on us, as though there are bigger fish to deal with and we were meaningless. They began marching away. While all this was happening, I got an overwhelming sense that these beings were not extraterrestrials at all, but something else entirely. Something to do with the military and government. Something bad and deceitful. As they were marching away, all of a sudden other crafts appeared in the sky. 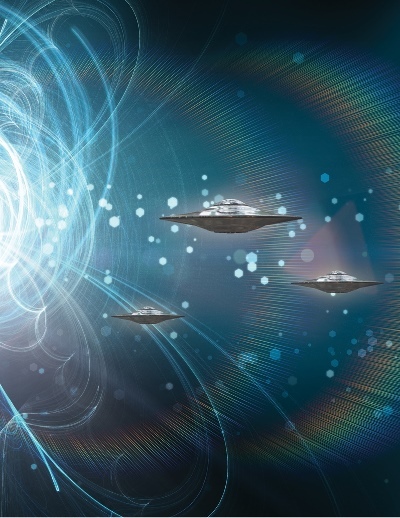 They were there to chase away these “military ETs.” A huge battle ensued in the sky amongst many spacecrafts, with the end result being that these military ETs were chased off. My experience ended there. It was so vivid that when I woke up I began drawing all the different and unusual shapes and types of spacecrafts I had seen. This experience, though I know it sounds very “epic” and almost something you’d see in a movie, was very real and left a big impact on me. Though some things in it may have been depicted in a symbolic way, it made me realize that my naïve expectation of extraterrestrials revealing themselves one day to collaborate with humanity in the open is not exactly possible, most especially precisely due to the very big efforts to make this impossible by those with vested interests. After this experience I became very interested in the relationship between the government, the media, and extraterrestrials.